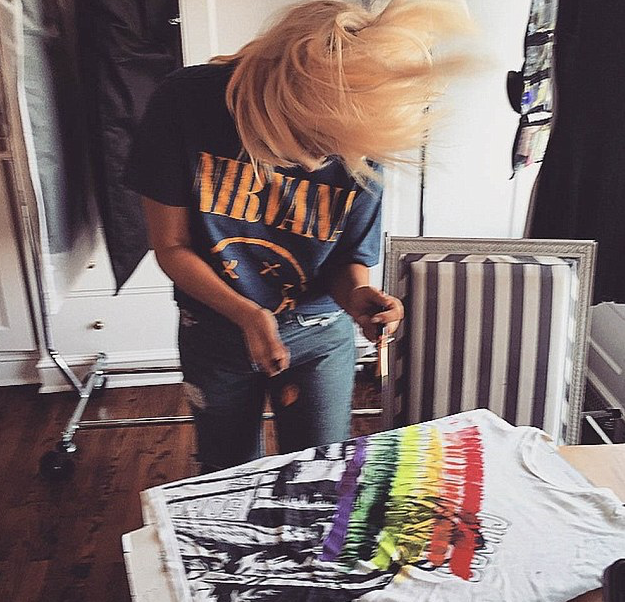 Gay rights supporter Lady Gaga wears homemade rainbow T-shirt in NYC after marriage ruling, June 2015, Hollywood News. 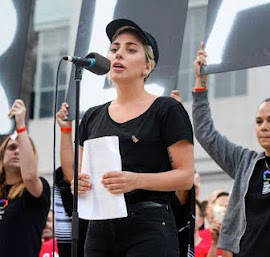 She's a staunch supporter of gay rights so no wonder Lady Gaga had a huge smile on her face on Friday. The pop hit maker was seen leaving her Central Park apartment in New York proudly wearing rainbow colours after the news that gay marriage has been legalized in all 50 US states. 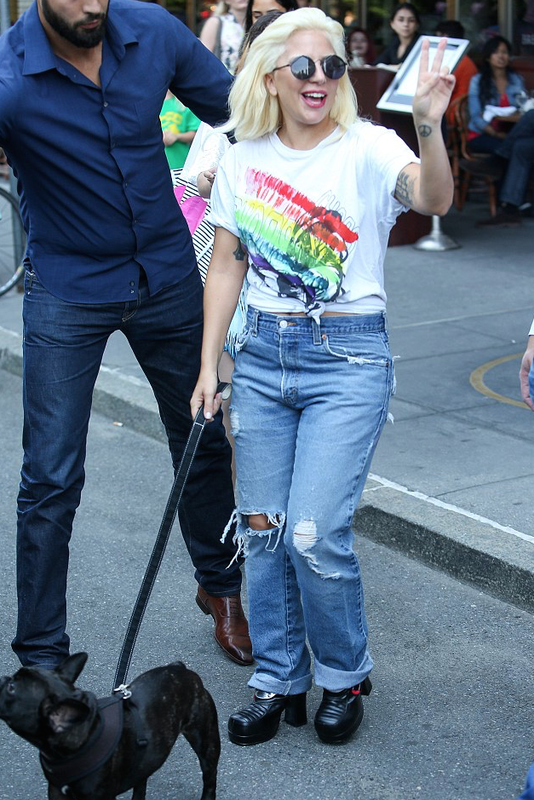 The 29-year-old singer flashed the peace sign as she took her dog Asia for a walk in Manhattan. Teaming the statement top with some ripped boyfriend jeans and chunky platform shoes, the singer looked overjoyed about the landmark ruling. She covered her eyes in her quirky dark circle sunglasses and wore a little pink on her pout. 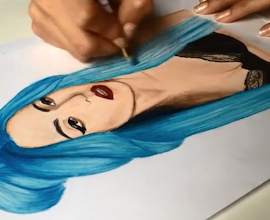 Gaga's customised top was a graphic print T-shirt with the word 'chaos' which she covered with vibrant sweeps of rainbow colours to represent the LGBT community. 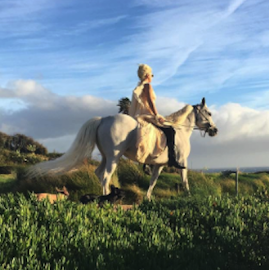 The Just Dance hit maker showed off her handiwork in an Instagram photo where she could be seen daubing the white garment with paint as she danced. 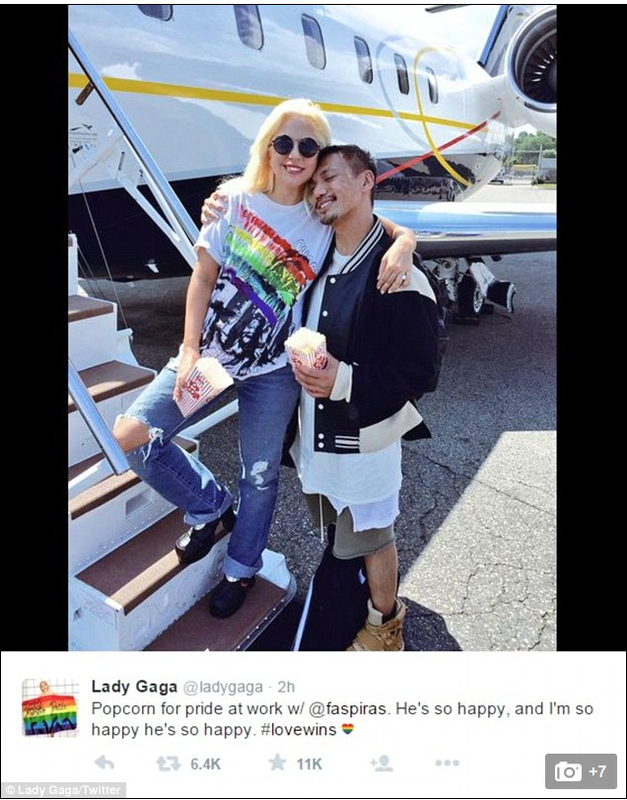 couple of hours later, Gaga shared a cute snap of her embracing her hairdresser pal Frederic Aspiras before boarding a private jet. 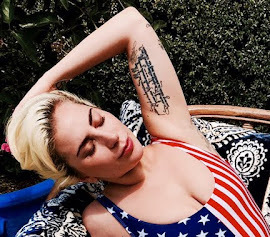 In other good news for Gaga, the superstar tweeted about her record with Tony Bennett: 'CHEEK TO CHEEK' is #1 on the WORLDWIDE iTunes album chart!